First Ever Hollywood Competition Law Movie? 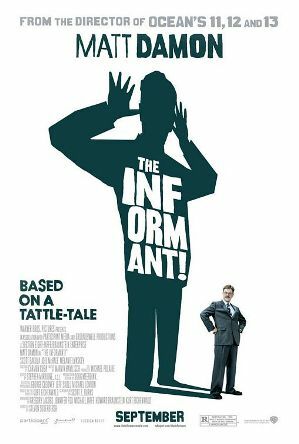 For those of you who are brave enough to take an additional drop of competition law stuff over the WE (if you’re reading this you’re probably within the category), rush to the theatre watch ‘The Informant’. This movie -directed by Steve Sodenbergh and based on Kurt Echenwald’s book- tells the story of the DOJ’s investigation inthe lysine cartel from the perspective of the executive who blew the wisthle, Mark Whitacre (played by Matt Damon). The lysine cartel was also sanctioned in Europe, and in fact Whitacre is also a relevant character in the Commission’s decision (see paragraphs 336-341). You may already have watched the videos of the cartel’s meetings, taped thanks to Whitacre. In case you haven’t, the transcripts are available here in different segments: 1, 2, 3, 4, 5, 6 (the part in segment one where they joke about the FBI and the FTC being present at the meeting is particularly good). P.S. If Nicolas keeps recommending books and I get started with movies we might build a “leisure time” section for all competition geeks. Terrific site! I look forward to seeing it grow. FWIW, I read the book The Informant years ago. The book did a tolerably good job of showing how difficult it is to put together an antitrust case and the near impossibility of knowing who is truthful and who is not. When so much depends upon informants, sorting truth from fiction becomes a monumental task. I look forward to seeing the movie soon. Just came to my mind another competition law movie, “Syriana”, in which the FTC investigates the merger beteen two global players in the oil market. The plot is kind of confussing first time you see the movie, but I def. recommend it, best in describing oil business and middle east business style if you ask me. It is not the first. There is a real stinker of a movie, ANTI-TRUST, a fantasy that loosely describes Microsoft’s illegal tactics in gaining its monopoly.